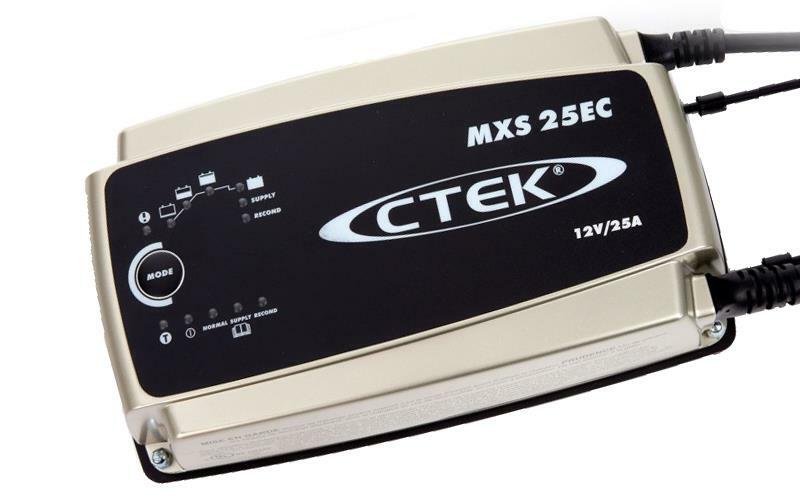 The CTEK MXS 25EC is a fully automatic 8 step smart charger and battery support unit that delivers 25A to 12V batteries from 40–500Ah. Designed for professional use, the MXS 25EC includes a wide range of features, including an automatic diagnostic function that tests whether a battery is able to take and hold a charge and a supply function that allows it to be used as a power supply to support the battery during diagnostic work. Designed for professional use, the MXS 25EC includes a wide range of battery charging and maintenance features. 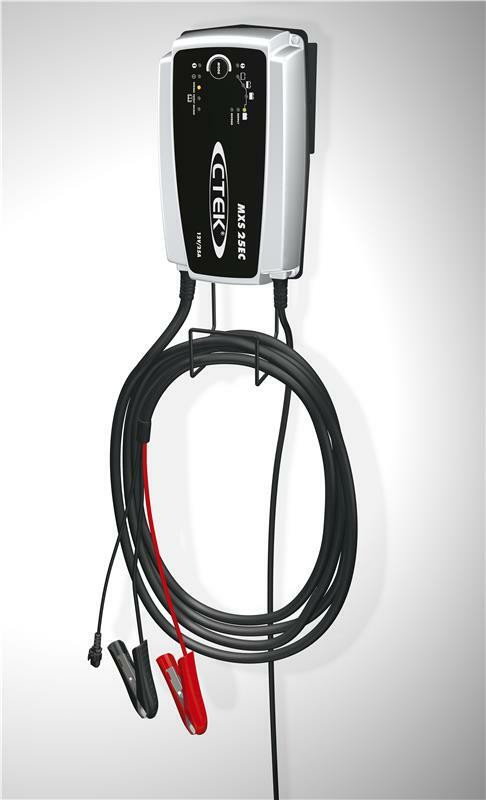 Long 18 foot cables for extended vehicle / battery access and includes the CTEK Wall Hanger 300 (part 56-314) for added in use functionality. RECOND function that can bring an old or marginal battery back into serviceable life. Supply function that allows it to be used as a clean power supply to support the battery and electrical system during diagnostics, reprogramming, and battery and system service maintenance activities.